Are you buying something new to wear for this special weekend? Before you buy that new outfit, let me ask you a simple question. Is the one you bought last year all worn out which is why you need to buy a new one? Regardless of the answer, it is always nice to put on new clothing and look your best to come to worship on Resurrection Weekend. I promise you will not be the only one wearing something new. I ask the question only to have us think about being worn out. Sometimes like our clothing we can get worn out and need to be reminded of a few truths in our life. If you read 1 Peter you can see how Peter goes through a number of ways to encourage the churches scattered all around because they were feeling worn out. I love where Peter begins this encouragement in his letter. Because of God’s great mercy, you and I have a Living Hope through the resurrection of Jesus. Yes, you may feel worn out and tired, but let’s celebrate the Joy of the Resurrection! 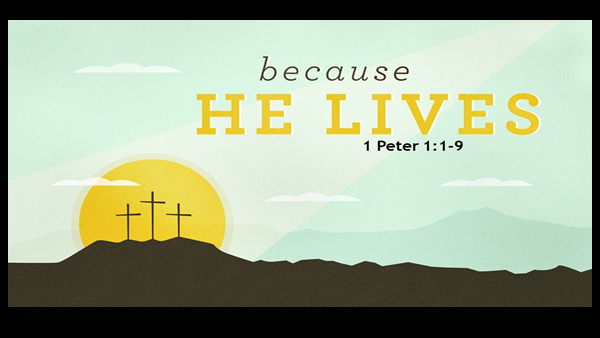 We would love for you to join us on Sunday, April 21st, to celebrate the Resurrection of Jesus. If you have questions or would like to get connected here at Lighthouse, please email me so we can begin this discussion. jgresh@lighthousechurch.net.